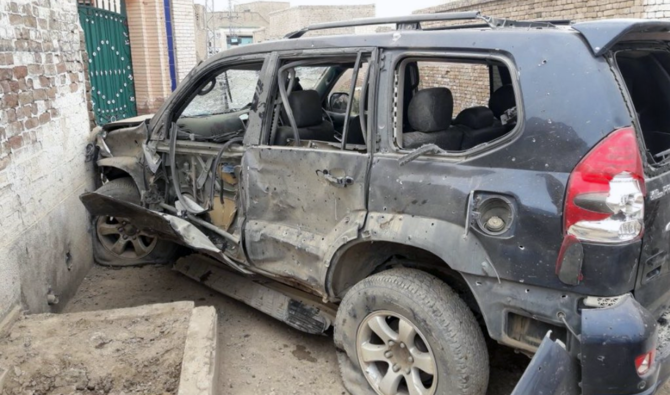 Police in Pakistan say a suicide bombing in the country's northwest has killed the driver of an election candidate while wounding the candidate and three other people. It's the latest violence ahead of Wednesday's elections. Police officer Zahoor Afridi says Ikramullah Gandapur, who is running for a parliament seat from opposition leader Imran Khan's party, and three others, including two policemen, were wounded in Sunday's attack. The officer says the bomber detonated his explosives near Gandapur's vehicle in the city of Dera Ismail Khan. Gandapur's brother Israr was killed in a suicide attack three years ago. Separately, the convoy of another candidate Akram Durrani, came under fire in the northwestern town of Bannu. No one was hurt. Durrani survived a suicide attack earlier this month that killed four people.